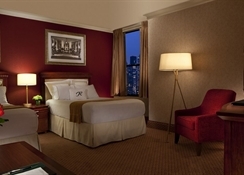 Also known as the “Grand Dame of Madison Avenue”, The Roosevelt hotel is a Manhattan landmark since 1924 and welcomes guests with its luxurious ambience and contemporary décor. There are elegant suites and beautiful guestrooms where the guests can retire. There are delicious and creative gastronomic delights and classic cocktails waiting for you at the Vander Bar or Madison Club Lounge. Mad46 is the rooftop bar that lets the guests enjoy drinks blissfully with amazing views of NYC skyline. The Grill is the restaurant where the famous New Year’s Eve tradition of playing ‘Old Lang Syne’ started. Guests can enjoy a host of benefits such as fitness centre, business lounge, retail stores and proximity to a number of NYC attractions like Fifth Avenue, Times Square, Rockefeller Center and Grand Central Terminal. The hotel, which has featured in a plethora of Hollywood flicks like The Dictator, Men in Black3 and Malcom X and named in honour of President Theodore Roosevelt, is a living history of American Culture. In the heart of midtown Manhattan, situated at the intersection of Madison Avenue and 45th Street, the Roosevelt hotel is less than a block from Grand Central Station and a mile from Central Park. The Empire State Building, Rockefeller Centre, 5th Avenue shopping, Times Square and the Broadway Theatre District are all in the neighbourhood. Guests can explore Central Park, attend a concert at Carnegie Hall, and visit the Museum of Modern Art – all literally steps away. For those who drive, the hotel offers valet parking. It is also in proximity to JFK International, Newark Liberty International and LaGuardia airports. 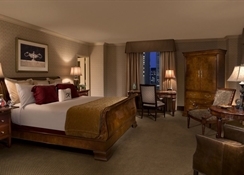 The Roosevelt Hotel has 1,025 classic guestrooms, including 33 elegant suites that melds traditional styling with contemporary luxury. These opulent rooms are furnished with premium bedding, dual-line telephones with voicemail, flat screen HD TVs with cable channels, iPod/Mp3 equipped clock radios, data port capabilities, luxury bath products and a plush sofa chair. With warm, earthy hues in the rooms and custom furnishings luxury is taken to another level. For business travellers, there is a work desk with lamp, a comfortable chair and wireless internet. The Roosevelt Grill offers a delectable array of cuisines with plush seating at the lobby. The breakfast can have Starbucks coffee, sandwiches, cold cereals, freshly baked pastries, Grand Central Eggs and the Madison Avenue Breakfast. The Madison Club Lounge is plush with rich mahogany panelling, stained glass windows and deep cushioned leather chairs. Wonderfully mouth-watering dishes such as veal meatballs with buratta cheese, steak frits, house cured short rib rueben, cavatelli pasta with bolognese sauce and asiago cheese, pan roasted wild salmon, and the legendary Roosevelt burger are served for lunch and dinner. Wash these down with a fine selection of alcoholic and non-alcoholic drinks. For a wider choice, head to the street level Vander Bar or the upscale rooftop Mad46. 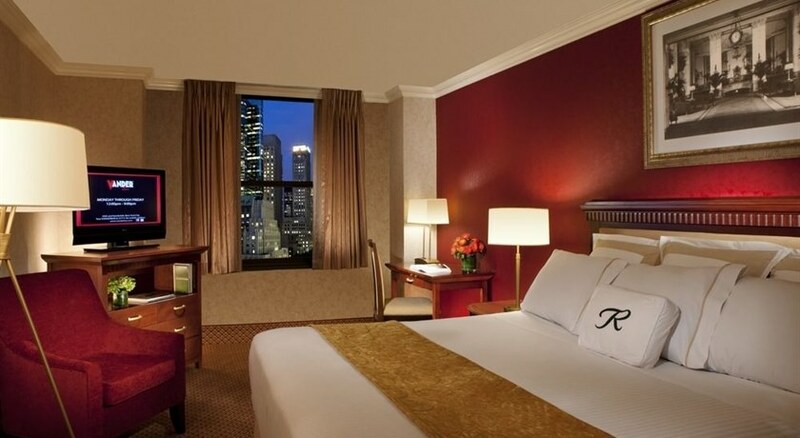 The Roosevelt Hotel has excellent access to delightful Midtown Manhattan restaurants and bars. There is a well-equipped fitness centre where guests can work out. For business travellers, the hotel houses business lounge, while shopaholics can splurge at the retail stores.